The full range of treatments and services offered at the practice are listed here. If you have any questions please don’t hesitate to contact us by phone or email. New Patient Examination Includes examination of all tooth surfaces, oral cancer screen, examination of gum condition, relevant x-rays, models of teeth (if required) and treatment plan formulation. Existing Patient Examination As above, but x-rays only required if problems are obvious. Gum condition screened. Fissure Sealants Seals the crevices in teeth to prevent further tooth decay. Fillings White fillings and standard restorations of tooth cavities. Standard mercury fillings can also be replaced with more modern white fillings. Root Fillings Cleaning and filling the nerve space in the roots of teeth if the nerve ‘dies’ or has decay within it, so the nerve cannot get infected further. Crowns Protect weak teeth from fracturing. This is often required on back teeth that have been root filled as they are generally weaker teeth. Bridges Bridges are provided to replace a gap or gaps between teeth. As they are fixed to the teeth adjacent to the gap, they do not have to be removed. Bridges are either ‘conventional’ or ‘adhesive’. Dentures These are provided to replace missing teeth in the mouth a traditional ‘plate’. They can be constructed of acrylic or metal. As they are not fixed to teeth they can move and must be removed to clean them and prior to going to bed. Implants These are titanium fixtures that are inserted under the gums in the jaw bone. They form a strong union to the underlying bone and hence are ‘fixed’. Attached to the implants are crowns or bridges or dentures. They are very successful and have fast emerged as a popular way to replace missing teeth. Full Mouth Reconstruction This is the rebuilding of all the teeth in the mouth, usually with a combination of crowns and restorations for those dentitions that are severely destroyed by dental disease. Cosmetic Bonding ‘Composite’ material (white filling material) is bonded to the tooth to reshape it or change its size. Sometimes it is useful to close a gap between teeth also. Veneers These are thin facings made of either porcelain or composite (made by a laboratory) that are bonded to the natural tooth in order to change their appearance. Ceramic Crowns Modern crowns can now be constructed made entirely of hard ceramic with no underlying metal. This gives a more natural appearance to the tooth with no ‘black margin’ showing. Bleaching/Whitening Special trays are made to fit over the teeth. Into these trays a bleach material is placed and then the trays are worn over the teeth for two weeks. the teeth usually dramatically lighten in colour by several shades. There are also several techniques to lighten teeth that have become dark due to root fillings. 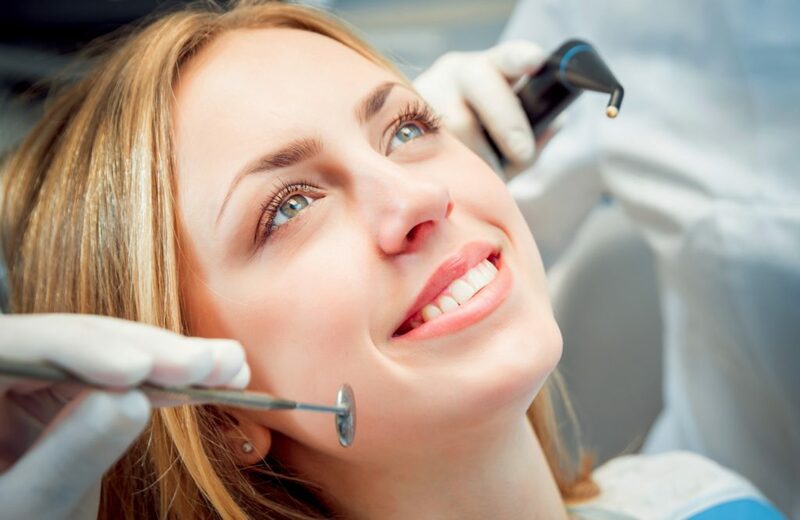 A full dental hygienist service is run at the practice to help maintain the health of the gums and supporting tissues of the teeth.Often a scale and polish twice a year is sufficient.For more advanced gum disease (periodontal disease) a course of deep cleaning may be recommended (root debridement and curettage). This may be the only way to reduce the inflammation of the gums. Children usually require examinations twice a year to monitor their developing dentition and assess whether braces may be required. A full service of fillings and fissure sealants is provided by the practice where necessary.